I grew up at the height of the Golden Age of American Pro-Wrestling. I watched it every week on television. When I was ten years old my dad took me to see Andre the Giant wrestle live at the San Diego Sports Arena against the Ultimate Warrior. I can still remember everything about that match to this day. If I think back hard enough I can even feel the excitement I had to see Andre the Giant in the ring and in action, he was my favorite wrestler. Professional wrestling at that time was more theatrical than anything. Most of the wrestlers portrayed over-the-top, larger than life personas. Characters such as Ravishing Rick Rude, Macho Man Randy Savage, The Honky Tonk Man, Ricky the Dragon Steamboat, Ted Dibiase the Million Dollar Man, Hacksaw Jim Duggan, Bret the Hitman Hart, Sargent Slaughter, Rowdy Roddy Piper, Mr. T, and of course Hulk Hogan were just a few of the many characters to dominate the ring at the time. What I didn’t know about back then was that there had been an era of Pro-Wrestling long before this, when Wrestlers were known for their their actual wrestling ability. There was a real grappling style. It was a form of wrestling with origins in the west that specialized in submission. This style was the predecessor of the worked Pro-Wrestling matches we know of today. It was a style that had been around for thousands of years, and it was called Catch as Catch Can. Catch Wrestling was brutal. There were very few illegal holds or maneuvers in a Catch Wrestling match. In fact, the term No Holds Barred originated in Catch Wrestling. It is a term that later on was used to describe MMA during its infant stages as a popular competition. The Catch Wrestling style had been handed off from generation to generation for hundreds, if not thousands of years. Abraham Lincoln earned a reputation as a Catch Wrestler before his presidential days. The Folk Style of Wrestling, practiced in high schools and universities all across the United States today, originated as a branch of the older Catch Wrestling style. 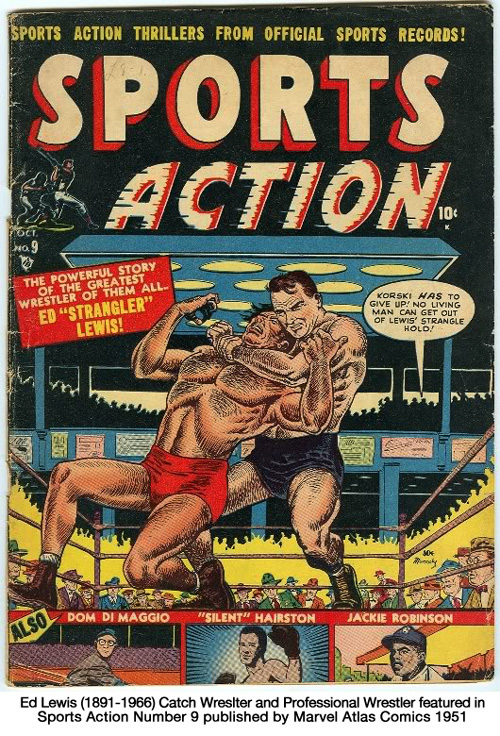 As professional wrestling matches became fixed, the professional sport evolved into a form of sports entertainment, moving away from real competitive wrestling matches and into theatrics. As this happened, the old time knowledge of the real Professional Wrestlers quickly faded away and was nearly lost except to a handful of people. The few old timers left, who knew and had mastered the authentic and true ways of the Pro-Wrestling style, were forced to walk between the realms of real and worked matches. These were the guys no one crossed in the ring, they were often used as enforcers to keep people in line within a promotion. They would even take on the amateur wrestlers or any others who wanted to challenge or disrespect the Professional Wrestling Tradition. 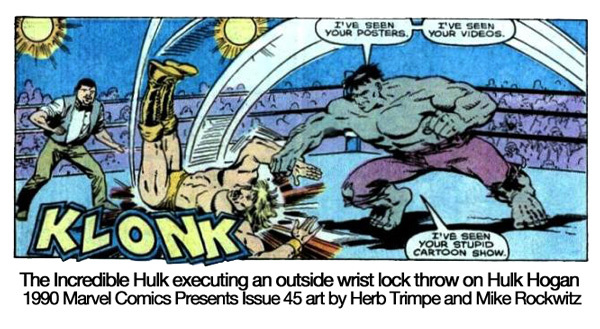 That is where the Pro-Wrestling Comic Book Strength Monsters begins. I made this comic book because I was inspired by a lot of real people and true stories. I made this comic book because I have something to say about professional wrestling, catch wrestling, and a lot of other things. Strength Monsters aims to be a 100% Professional Wrestling comic book steeped in the traditions of Catch as Catch Can. I invite you to please sit down, relax, download, AND READ the first inaugural issue of my Strength Monsters series right now. Just put your name and email in the box below and a download link for a DMR Free PDF file of the comic book will be sent directly to your inbox. After that I will keep you up to date every few months or so on the progress I’m making towards completing the next issues to come.